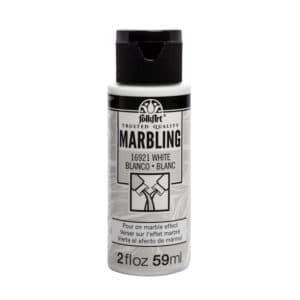 Simply pour on FolkArt Marbling Paint to achieve beautiful marbled effects – no more mixing paint and chemicals to get great results! 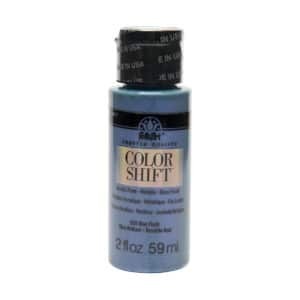 Specially formulated for “floating” colors, this gel won’t run as water can. Dries quickly without extenders. Give your next DIY craft project a metallic luster that shifts in changing light with FolkArt Color Shift Metallic Paint! Part of the FolkArt creative system of paints and finishes, the Color Shift paints dry to a beautiful gloss finish and can be used on indoor and outdoor projects. 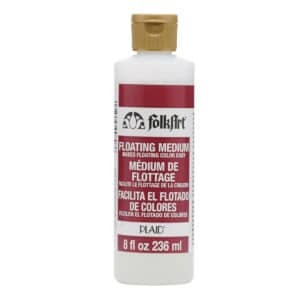 FolkArt Color Shift Metallic Paint is water-based—meaning that it’s completely non-toxic—and made in the USA. 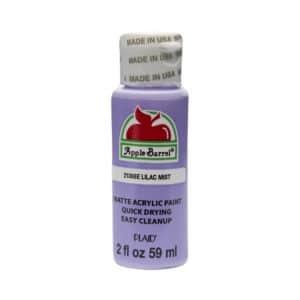 Fresh-bright-crisp, just like its name, Apple Barrel craft paints are crafters’ choice for projects large and small. Made from the purest ingredients, Apple Barrel Colors provide premium performance on wood, Styrofoam, paper mache, tin, terra cotta, wood and any porous surface. It comes in a rainbow of clean colors in traditional matte finish and gloss that’s great for outdoor projects, too. Moms love it for kids’ projects, thanks to its non-toxic, waterbase formula. It still says I have zero entries even though i did almost everything one the list and ordered the booklet!! Help! Hi Danielle, that’s odd. I can see some submissions that look like they are from you. Maybe it’s a cache issue. This is my first give way to enter! So excited! I even logged back into my Twitter &&& I don’t even really use my Twitter! I would love to add these winnings to my Acylic supply inventory! Ekk! When will the winners he announced? I never win anything but would love to try for this, I just tried pouring and like it. I love pouring! So excited to be able to enter in this giveaway. Thank you very much! It was very disappointing to find out after everything was subscribed to that you are not including your Canadian customers. Very disappointing. You should probably have said in the beginning that Canadians need not apply. Hi Carol. I understand your frustration. In our defense, we did state the following: “Please Note: Plaid can only ship to addresses within the USA.” We would love to partner with companies that can do giveaways outside of the US, but this wasn’t one of those, unfortunately. love all of this and am going to do my first one! Thank you for the great info! I love the flow of this art form. It takes art to another level. Hoping to win. Just started this craft!